Learning a foreign language can be a very difficult task. It often takes lots and lots of practice to be able to become comfortable enough in the language to have a conversation that goes both ways. If you are enrolled in a foreign language classes, it is important that you learn good study habits and make it a part of your daily routine. 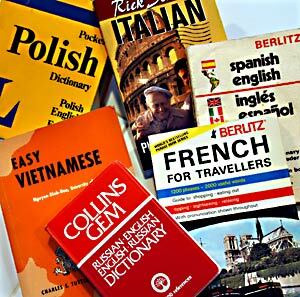 When you are learning a second language, it is not enough just to read your textbook. Besides reading, you should also practice listening and speaking. Remember not to overwhelm yourself by tackling everything at once. Just taking a little bit of time in each area everyday will greatly improve your skills. Enrolling in classes from a qualified ESL school, like CSI Now can help you stay on a track in a more structured environment. One thing you can do to develop your listening skills is to take about ten or fifteen minutes each day to listen to some beginning level books or selections. You can often find discs at the library or clips from the internet. Children’s books are especially great for this exercise because they are usually written at a basic level so that you can understand. Your level of understanding is important so that you can learn the things your teacher is telling you in your class. In the classroom, try to eliminate any distractions and focus on the words that are being spoken. It may be a good idea to read the material before class so that you can have a basic understanding that will help you during the lecture. Don’t be afraid to ask questions for any clarification you may need. One of the most important things you can do, when studying foreign language, is to actually move your mouth and speak. Even if you are just speaking out loud to no one in particular, this will help you form the words and sounds. Try taking about five or ten minutes each day to do this exercise. Don’t just settle for the same phrases every day. It may be a good idea to summarize what you have read or listened to that day in class. This way you are speaking some new words each day to add to your vocabulary. If you can grab a friend to speak with you, that would be even better because you can ask each other questions and practice together. Being able to read in foreign language is crucial, especially if you are living in country that speaks your chosen language. Just about every sign you see will be in that language. Besides reading your textbooks for class, take about ten minutes each day to read for fun. You can choose any subject you would like, but it might be best if you start with some beginners books and make your way up from there. When you read a book, take your time paragraph by paragraph and make sure you understand what is being said. It may be a good idea to take notes, especially if you are reading a textbook. Developing these crucial skills of listening, speaking, and reading in foreign language will help you be a successful student and go on to a rewarding career. Just taking a few minutes each day to practice will improve your foreign language faster than you think.